OMG Posters! 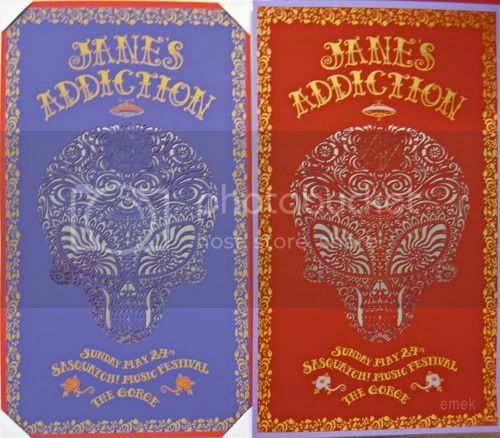 » Archive Emek's Jane's Addiction Poster (Onsale Info) - OMG Posters! 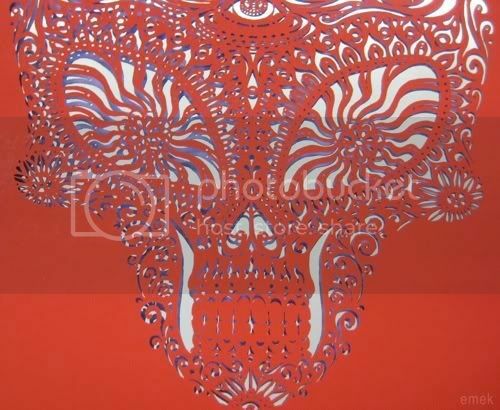 Emek is ready to drop a new poster, and in true Emek fashion, it’s another innovative piece of art. 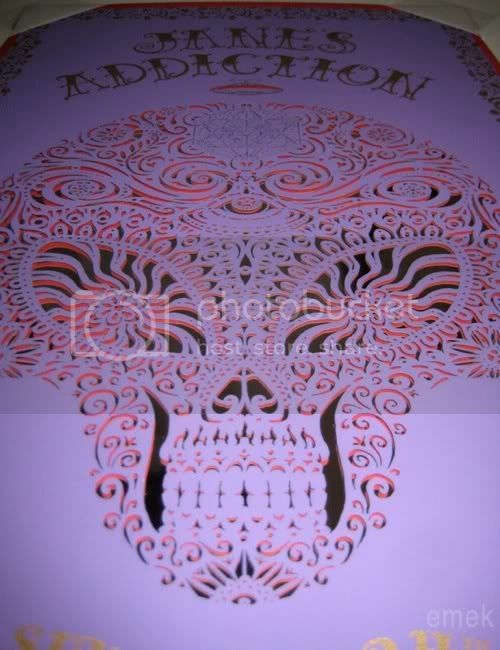 His Jane’s Addiction poster is a 13″ x 24″ lasercut with silver mirror backing paper. As he said himself, “you can frame it as is, or remove the backing paper and frame it between two sheets of glass”. They were printed in two equal editions: half are purple ink on red paper, half are red ink on purple paper. These go up tomorrow (Thursday, July 30th) at 12pm PST. 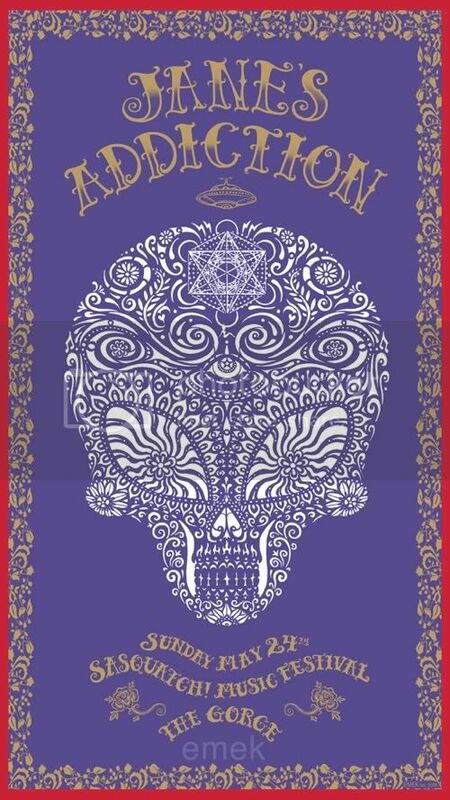 Visit the Store/Info tab at Emek.net.